Electrolux Maintenance & Commercial Services LLC is UAE’s leading facilities management service provider. With over 30 years of experience and with some of the biggest names as clients, Electrolux is the best in UAE. 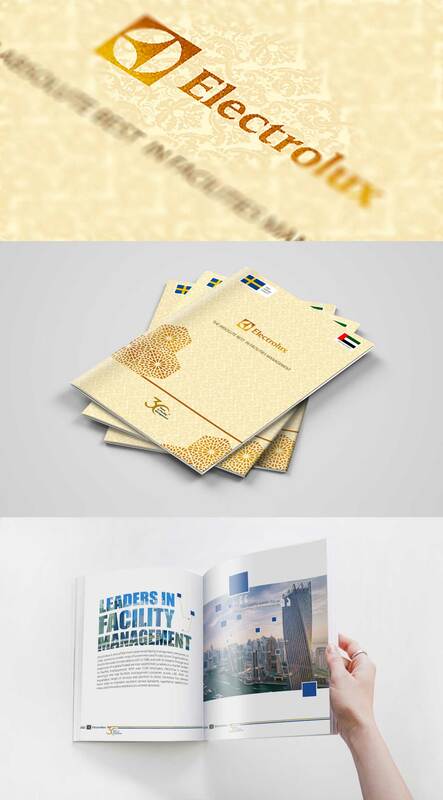 Since Electrolux is a global brand and the UAE market demands a feel of authenticity and a sense of belonging, we went ahead with the gold element to their 30 year re-brand activity. This was widely received among the decision makers and leading UAE Government and Palace officials who appreciated the project to a great extent.